Student members attended the ASHRAE St. Louis Chapter's Awards Ceremony. 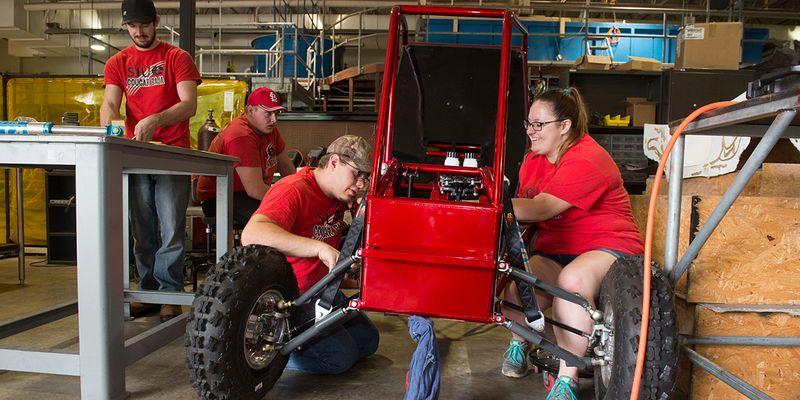 Out of eight scholarships given, five of them went to SIUE Mechanical Engineering Students! With these awards, SIUE is in the same league with St. Louis University, Washington University, SIUC, and Missouri Science & Technology. Dr. Serdar Celik, student advisor of the ASHRAE group, believes this speaks well about SIUE's student involvement in the St. Louis region. After the students received their awards, the treasurer of the St. Louis Chapter announced that the they will be sending another $500 check to the SIUE ASHRAE Student Chapter, aside from the individual checks our students received. Names of the Engineering students who received ASHRAE Scholarships are: Nino Giganti, Erim Yanik, Eric Melosi, Neil Ritz, and Daniel Smalley.